SignalScope X’s Pro Tool Set subscription includes all the functionality previously present in SignalScope Pro, SoundMeter Pro, IOScope, and RoomScope, and adds 3 powerful new tools. 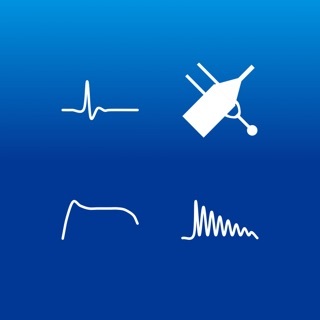 - Analyze signals coming from the iOS device’s current audio input device or built-in accelerometer. - Direct support for Digiducer, Studio Six Digital, and select miniDSP hardware devices. - Save acquired measurement data to CSV, TXT (tab-delimited), or MAT files. - Retrieve your data files via Files (iCloud Drive), iTunes File Sharing, or through a web browser on another device. 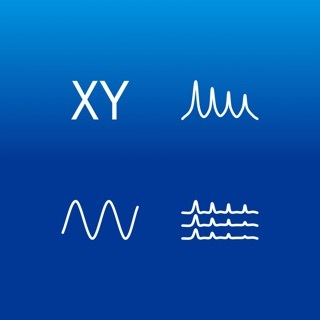 - XY Plotter - Create Lissajous curves on your iOS device. 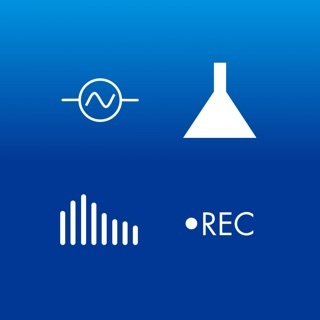 SignalScope X audio analysis tools offer quite a lot of signal information in exchange for the monthly subscription rate. With the newest release, Faber Acoustical gives the user even more bang for their buck with the addition of new sound analysis tools such as “RoomScope,” and enhanced file handling capabilities which can be used even without a subscription. The variety of subscription plans and rates provide pro audio analysis solutions that accommodate any budget. I've found so many uses for the hand-held scope. And I get free upgrades for life as new features come out. Oh, yeah, it also self-calibrates. When software is more expensive than a stand-alone device, somethings wrong. We're pleased to hear that you think SignalScope X "is a great 5-star app." We would certainly appreciate your 5-star rating. Would you be willing to share with us the make and model of the handheld scope you mentioned? Does it offer any functionality that is germane to SignalScope X's Advanced Tool Set or is it more comparable to the Basic Tool Set, which is considerably less expensive? I’m on board with everyone else. While the app is very full featured, I can’t justify the continuing costs, and rather expensive costs at that. I can go with a one time cost of the very good Studio Six apps for the same cost. And now I just read that the existing Faber apps won’t work next month when iOS 12 is released. Very disappointing. I understand that subscriptions are an attractive model to go after, but you have to evaluate your client base and understand what their pressure points are when it comes to recurring costs. Very disappointed. We're sorry to hear of your disappointment regarding the cost of SignalScope X. If you feel that the software has value, as you indicated, we would appreciate a star rating that reflects the quality of the app. Certainly, it is not so expensive as to merit a 1-star rating. Regarding iOS 12, we have been testing our legacy apps on iOS 12 beta releases and have not yet found any compatibility issues, so the idea that they will suddenly stop working when iOS 12 is released is simply untrue. Where did you read that? Access to SignalScope X's basic tool set. Access to SignalScope X's advanced tool set. Access to SignalScope X's pro tool set.